EvoraPet is a tasteless and odorless powder that you sprinkle on your pet's food once a day. 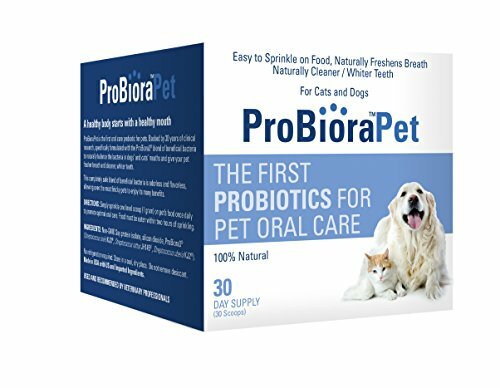 This oral care probiotic sprinkle crowds out the bad bacteria that cause bad breath and will gently and safely whiten your pet's teeth. Teddy's Pride is safe and effective for cats and dogs of all ages and sizes. If you have any questions about this product by EvoraPet, contact us by completing and submitting the form below. If you are looking for a specif part number, please include it with your message.